Will You Need to File a Workers’ Comp Claim for One of These Cold Weather Injuries This Winter? While the winters in Georgia are certainly milder than those in northern states, we still have days of snow, cold, and ice. The kids may enjoy getting a day off of school, but it is no fun to be an adult who must work outside in these conditions. If you must work outside for periods of time in the winter, you are at risk of suffering an injury caused by exposure extreme weather. However, you may be entitled to workers’ compensation benefits under Georgia law. Who Is Most at Risk of Suffering an Injury Caused by Exposure to Cold Weather? When a worker’s body heat is lost faster than it is produced, all of the stored heat will be used up and he can develop hypothermia. Shivering, fatigue, loss of coordination, and confusion are early signs of this condition. More serious symptoms include slowed pulse or breathing or loss of consciousness. Frostbite is an injury caused to a specific body part exposed to cold temperatures. It most often affects the eyes, ears, cheeks, chin, fingers, and toes. Symptoms may include loss of blood flow to affected body parts, numbness, tingling, aching, and bluish or waxy skin. When the frostbite is severe, it can cause permanent tissue damage and amputation of body parts. Trench foot is an injury to the feet caused by prolonged wet and cold conditions. However, it can occur in temperatures as warm as 60° F if a worker’s feet are constantly wet. To prevent heat loss, the body can reduce circulation and blood flow to the feet, resulting in permanent tissue damage if left untreated. Possible symptoms include leg cramps, numbness, swelling and reddening of the skin, tingling pain, blisters, and gangrene. 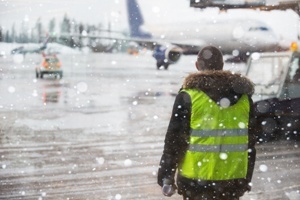 Did you suffer a cold weather injury at your job? Do you need to file a claim for workers’ compensation benefits due to another injury or illness? Although you may be entitled to benefits under Georgia law, your employer’s insurance company could try to deny or reduce your claim. Our experienced workers’ compensation attorneys are here to gather the evidence you will need, file your claim, and negotiate your settlement for you. Contact us online or call our office directly at 706.863.6600 to schedule your free consultation. How Will Your Workers’ Compensation Benefits Be Calculated?